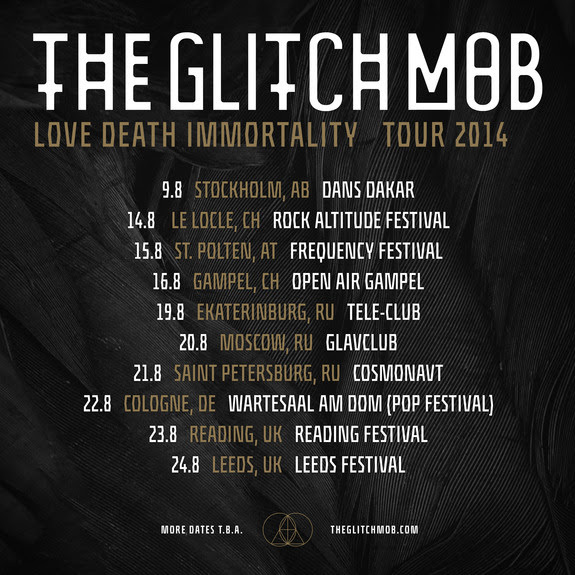 Having performed at some of the most revered venues throughout the continent on their last trip, The Glitch Mob are returning to European shores for the second time in three months, with their groundbreaking ‘Love Death Immortality’ show once more in tow! The Glitch Mob are certainly riding high in 2014, having released their sophomore album, ‘Love Death Immortality’ earlier in the year to widespread critical acclaim. 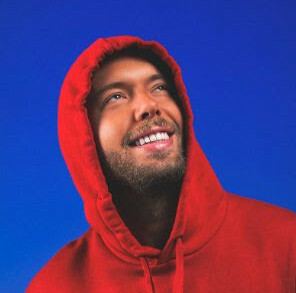 The LP debuted at #13 on Billboard’s Top 200 Chart and was also crowned #1 on both the Independent Album and Dance/Electronica Album charts. To cap it all off, their lead single from the album, ‘Can’t Kill Us’ was chosen to feature as the main theme to the upcoming Sin City 2 film, which you can see in action HERE. With upwards of 60,000 albums sold to date, ‘Love Death Immortality’ has continued to grow from strength to strength since its release, and is also now available to listen to in its entirety on SoundCloud below. Having conquered and sold out every date throughout the first part of their European tour, which included venues such as La Machine in Paris, The Forum in London and Roxy in Prague, leg two of the tour is set to be a much more festival-oriented affair. The LA-based trio will grace the stages of some of the most prestigious events this August, with the likes of Dans Dakar in Sweden, Frequency in Austria and the Reading and Leeds festivals in the UK just a few of the highlight stops along the way. 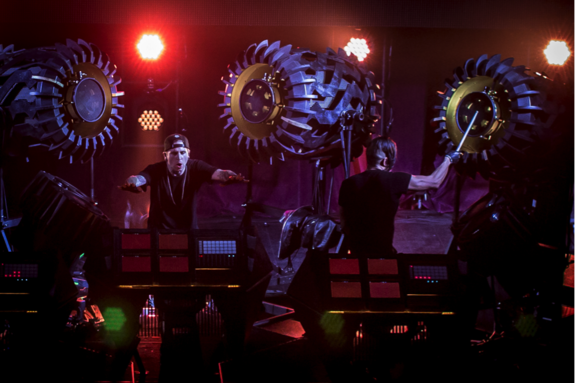 Using their very own customised technology that enables the trio to trigger samples in real-time and play them like live riffs as and when they wish, The Glitch Mob live show has undoubtedly become one of the most unique and immersive experiences out there in music today. Backed up with stage and visual design crafted by the one and only Martin Phillips at Bionic League (whose past work has included designs for Kanye West, Deadmau5 and Daft Punk), and the tech wizards at Name The Machine behind the masterful stage platform, there is no doubt that we are seeing the face of live electronic performances change before our very eyes. In the last few months alone, fans in the USA at the Ultra Music Festival, Coachella, Bonnaroo, Electric Forest and Lollapalooza have all been able to witness The Glitch Mob live in concert. Now it’s Europe’s turn.